Coated catheters or hydrophilic catheters were introduced to reduce long-term urethral complications. They are more preferable than a standard catheter. Hydrophilic catheters are coated along the entire length with a hydrophilic polymer, usually polyvinyl-pyrrolidone (PVP) and same with sodium chloride. When they are exposed to water, the coating attracts the water to the surface of the catheters, and binds the water to the surface of the catheter. This forms an outer layer mainly consisting of water. This thick, slippery, smooth layer of water stays on the catheter. This ensures lubrication of the entire urethra during catheter insertion and withdrawal, thereby reducing the friction and many a time pain. These pre-lubricated catheters are usually advised to patients who experience discomfort during catheterization when using a gel-lubricated uncoated catheter or patients who have difficulty with other catheters. Where to buy Hydrophilic Catheters online? 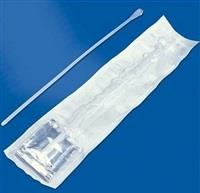 Shop Catheters offers a wide range of Hydrophilic Catheters. Some of them are listed below. The Coloplast SpeediCath Straight Tip Hydrophilic Coated Male Intermittent Catheter is an instantly ready-to-use catheter. The unique hydrophilic coating and the polished eyelets ensure smooth catheterization both during insertion and withdrawal. The ring-pull feature offers easy opening and the adhesive dot ensures that the catheter stays where it is placed. The Coloplast Self-Cath Plus Straight Tipped Hydrophilic Coated Male Intermittent Catheter is 100 percent latex-free with fire-polished eyelets and a siliconized surface for smooth insertion and reduce the risk of urethral trauma. 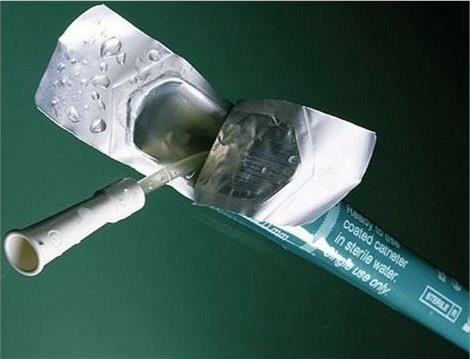 The hydrophilic coating activates with exposure to water for low friction catheterization. This self-cath plus catheter has an uncoated grip zone for better control and handling. The Wellspect LoFric Tiemann Coude Hydrophilic Intermittent Catheter is equipped with Urotonic Surface Technology to give the lowest friction during insertion and removal. It is made of medical grade PVC with a hydrophilic surface coating. It helps prevent urethral friction and lets you avoid the inconvenience of using a gel lubricant. The Hydrophilic Personal Catheter provides virtually friction-free insertion and removal. Its innovative packaging makes it quick and easy to prep while maintaining sterility in any setting. It is easy to use wherever you go without a lubricating gel. It is also easy to maintain sterility.